The Stags capture a meet that includes four suspensions. 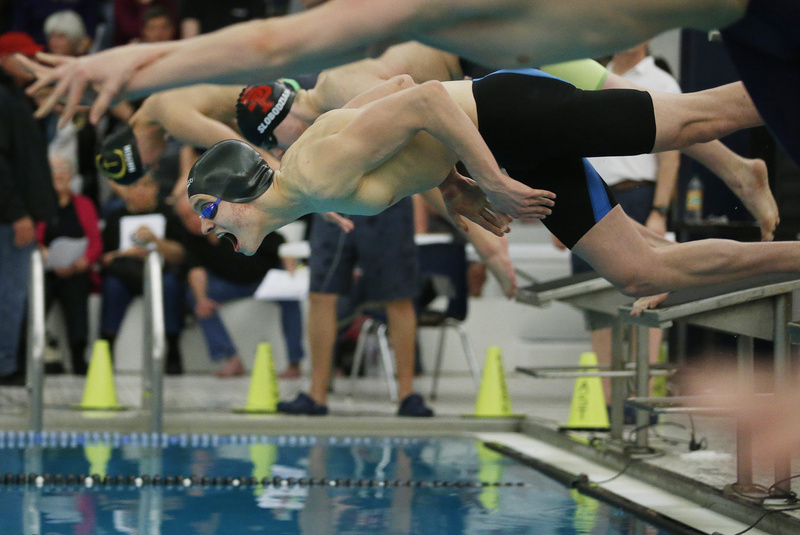 CAPE ELIZABETH — Two swimmers won two individual events Friday night at the North Southwestern championship meet, and each was proudest of a relay that came up just short. Cheverus won for the second straight year. 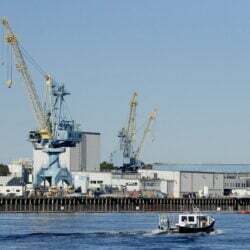 The promise of a three-way battle between the Stags, Cape Elizabeth and South Portland evaporated Thursday when the MPA swim committee suspended two competitors each from Cape and South Portland for prioritizing club teams over high school teams. Owen McLaughlin of Deering launches off the starting blocks while competing in the 100-yard freestyle. 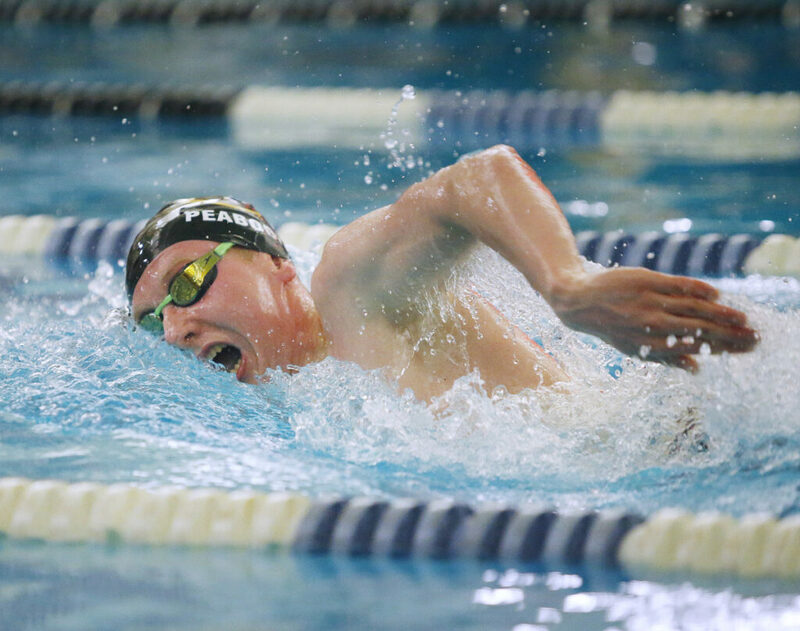 Cheverus won five individual events and two of the three relays, but got nipped in a raucous finale when Gavin McLeod of Scarborough made up a body-length deficit in the last leg of the 400 free relay after Peabody staked the Stags to a substantial early lead. Cheverus finished with 294 points to 186 for runner-up Greely. 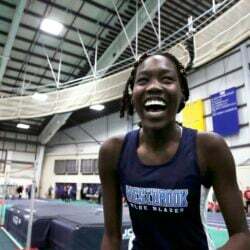 South Portland was third at 175, followed by Scarborough (172), Cape Elizabeth (167), Westbrook (124), Falmouth (115) and Deering (110). 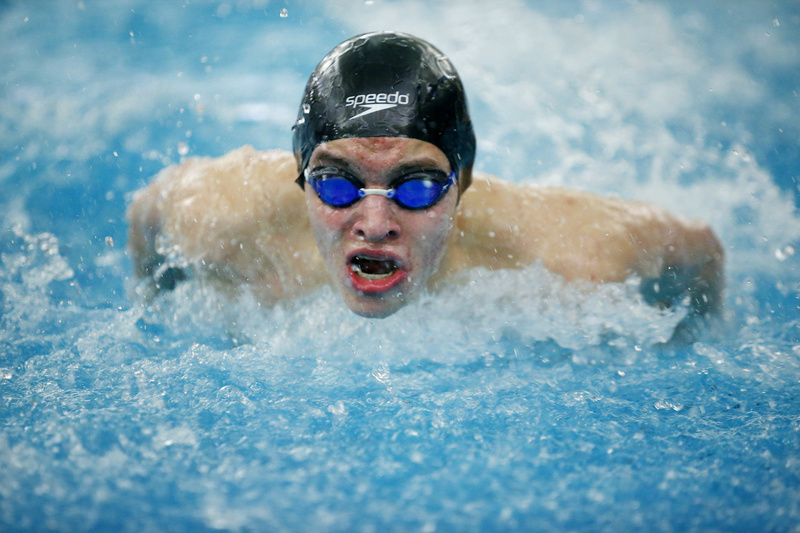 Owen McLaughlin of Deering competes in the 200-yard individual medley. Owen McLaughlin of Deering, who won the 200 individual medley and 100 freestyle, opened an early lead in the 200 free relay, only to see Cheverus come back and win by a little more than a second in 1:33.33. Cheverus also won the opening 200 medley relay, and got individual wins from Quinton Hastings in the 50 free, Jack Martin in the 100 backstroke and John Hight in the 100 breast. 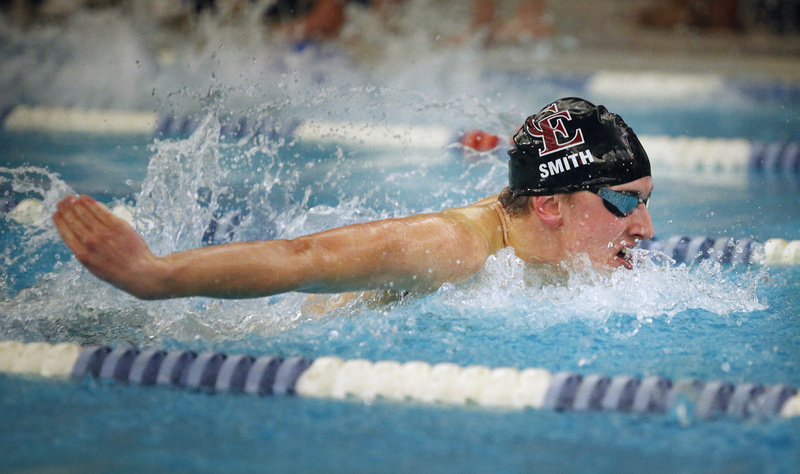 Cape Elizabeth freshman Ethan Smith takes charge Friday night in the 100-yard butterfly at the North Southwesterns, winning in 52.80 seconds. The other two individual winners were Jakob Lynham of Westbrook in diving (366.85 points) and Ethan Smith of Cape Elizabeth in the 100 butterfly (52.80 seconds). As for the suspensions, Cape Elizabeth senior Rohan Freedman and freshman Keegan McKenney and South Portland seniors Momchil Dagorov and Mitchell Amadei did not compete, although the three seniors were recognized before the meet, and Freedman was awarded the Randy Comeau Scholarship by the Southwestern Maine Swim Officials Association. Greely Coach Rob Hale, who had figured his team would be competing for fourth, instead walked away with runner-up hardware, thanks to a late surge past South Portland.